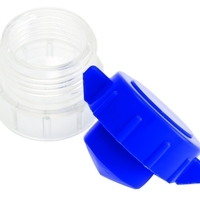 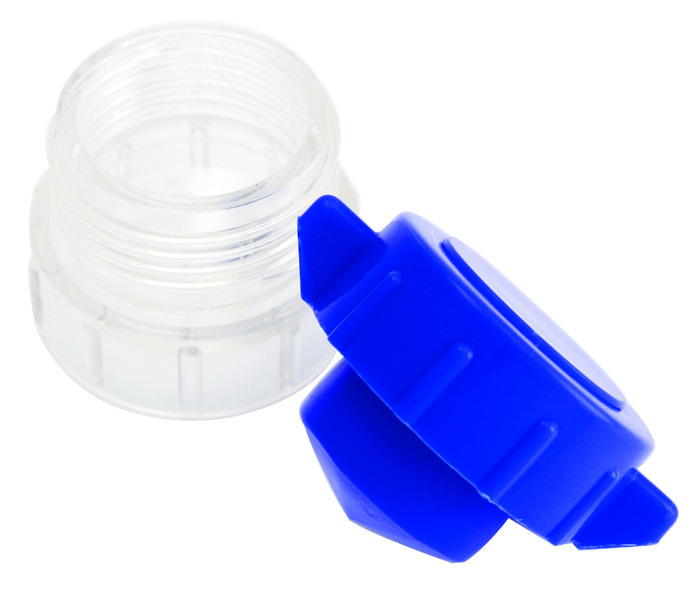 Use this convenient Pill Crusher to crush pills into powder that can be stirred into liquid for easier swallowing. Large knob has a ridged edge that can be grasped easily by persons with limited hand strength or dexterity. 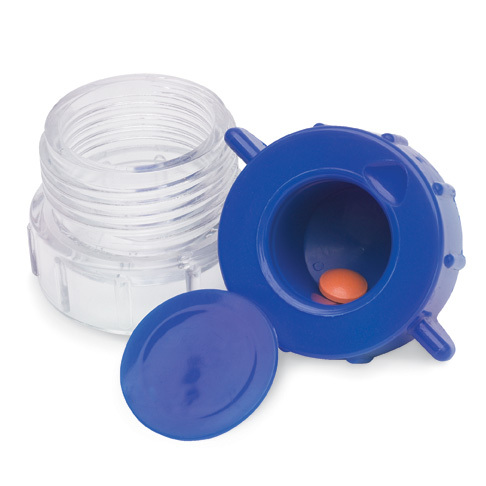 Knob has a handy storage area for pills.